Half Bathrooms: 1 "Powder Room Recently Added"
Occupied...Please Do Not Disturb, Wonderful and inviting home in Hacienda del Sol with stunning views! Enter the front courtyard into a screened-in patio which provides additional living space while serving to connect the main house to the private, attached casita. The open floor plan is ideal for entertaining as the kitchen is spacious, offering new aluminum tile backsplash, expansive granite counter tops, handsome cabinetry with select pull out shelving, stainless steel appliances, prep island with storage, and a bi-level bar with seating for four people. The dining area faces Mt. Diablo and the San Pedro Martir mountain range to the west or enjoy dining at the outdoor tables on the rear patio while taking in views of The Sea of Cortez. The intimate living room is able to accommodate a large screen tv and the gas fireplace is a welcome feature for the cooler winter nights. A powder room has been added just off of the kitchen and dining area while a short hall will lead you into the Master Suite. Furnished with hand carved wooden pieces from Guadalajara with ample space for a king sized bed. The en suite has his and her sink stations, large shower, walk in closet, plus a recently added linen closet. Friends and family will be very comfortable in the casita, with it's three piece ensuite, walk in closet, and privacy patio. Additional overnight guests can also take advantage of the sofa bed in the living room! The outdoor area of the home is a perfect for Baja with the built in BBQ station just off of the kitchen, plush seating around a fire pit, a cement table and bench set, glass topped dining set, in addition to mature and easy maintenance landscaping on auto drip. Also please be sure to take advantage of the newly tiled roof top deck. The double car garage has been extended by over 8 feet, with insulated garage doors and roof. Here is where you will find the laundry and additional storage closet, work bench, extra refrigerator, and deep freezer. Now Offered at $165,000...This newly upgraded home is being sold turn key and is ready for you to move into today! 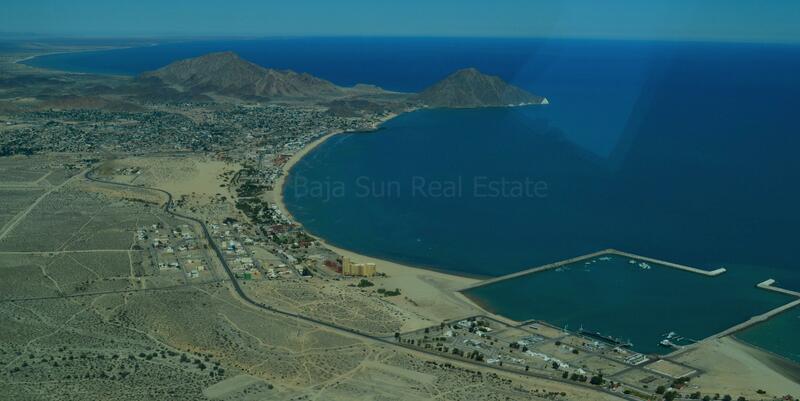 This property is currently held with a real estate bank trust (fideicomiso) from Banco Inmobiliario Mexico. Stainless Steel Appliances: Refrigerator, mounted Microwave, Double Sink, Dishwasher, New Gas Stove.